Like most kids in grade school, Mike Loney’s mind tended to wander. So he drew. Not doodles like his classmates, but detailed pictures showing remarkable realism. After graduating high school, Mike attended Advertising Art School in Portland and sold his first painting in a gallery. But by then he’d found another passion named Margee. Soon they were married and raising a family in the Clackamas area. To make ends meet, Mike worked construction. Eventually Mike became a contractor. In his spare time, he’d paint or fish. In fact, it was fishing that brought Mike, Margee and their two children to the coast. About 32 years ago the Loneys purchased and began remodeling Riverview Lodge on the Nestucca River. After running the lodge and marina for five years, they sold it and built a home in Cloverdale on four acres. Mike continued in construction, principally doing countertops and finish carpentry, which gave him even more time to paint and fish. Success in the art world is often more about publicity and timing than talent. Historically, many great artists never achieved fame during their lifetimes. Although Mike’s paintings have sold well in local galleries and are prized by a growing group of collectors, his work has yet to be recognized on a national or international level. That’s a shame. Because if you study his paintings side by side with the works of more acclaimed artists, Mike’s art compares favorably. But to Mike, fame has never been the goal. “I’m getting to do what I love to do”, he explains. 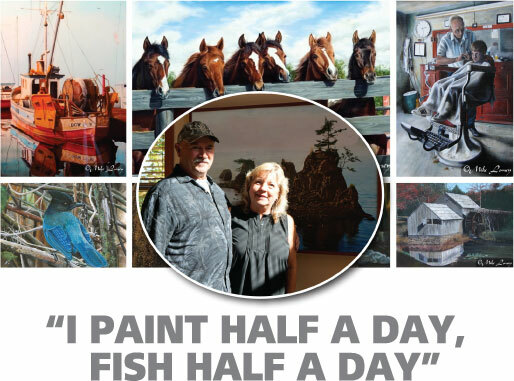 “I paint half a day, fish half a day.” Mike and Margee both love living on the coast and they appreciate the scenic beauty – “there’s so much to paint around here,” he says. Although he uses watercolors to paint birds, all of Mikes other works are oils. He paints in layers, always background forward. It’s a detailed process – three months to complete a work is fairly common. Mike’s originals typically sell for $3500 – $5000, although collectors tell him that his paintings would sell for far more in larger markets. His limited-edition prints are generally available framed for around $250. Mike sometimes accepts commissions, depending on whether the subject interests him. “If you’re going to spend months on it, you better enjoy what you’re painting,” he explains. Of course, making a living as an artist requires far more than painting. 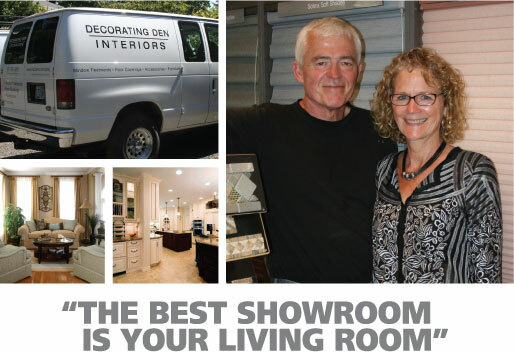 Bookkeeping, gallery showings, web postings and a wide variety of other business arrangements are all handled by Margee. Married for 47 years, the Loneys make quite a team and clearly enjoy each other’s company. 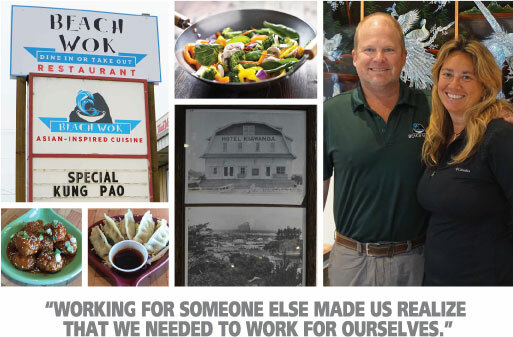 Mike and Margee have had all their business and personal accounts at Oregon Coast Bank since we first opened our Pacific City office. That’s been another great relationship. Margee calls our bankers “wonderful, down-to-earth people”. Quite often she brings homemade baked goods in with her deposits. We’re proud to display Mike’s art in several of our branches. The photo above shows the Loneys in front of a seascape we recently commissioned Mike to paint for our Lincoln City office. You can view the paintings above and many others on Mike’s website: http://www.l1yart.com/index.html. Yes, if he chose to paint in New York or any of the other major art capitals of the world, his work would probably be hanging in museums by now. But to Mike, being able to live in Cloverdale has its distinct advantages. Which would you rather fish? The Hudson or the Nestucca?